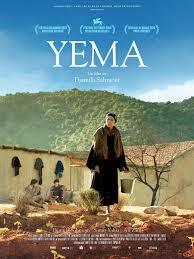 Yema starts out with an elderly woman named Ouardia (played by Yema’s very own Djamila Sahraoui) draggin the lifeless body of her son home. She then proceeds to bury him only to be stopped by a one-armed man at gunpoint stating that only men are allowed to bury the dead. After a struggle, Ouardia proceeds to bury her son. The film then pans out to a civil war caused by Algeria’s government and fundamentalists. It is revealed that Ouardia’s son was killed by insurgents on the orders of his older brother Ali, who was also the one who sent the one-armed man to stop Ouardia from burying her son and has ordered him to keep her prisoner at her own home. The film takes an emotional rollercoaster as Ouardia tends to her garden as a way to rebuild her life.